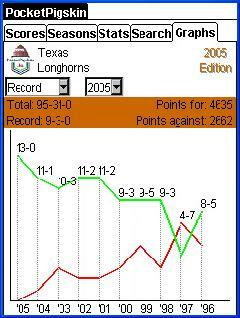 The Texas Longhorns' record improved and reached perfection in 2005! 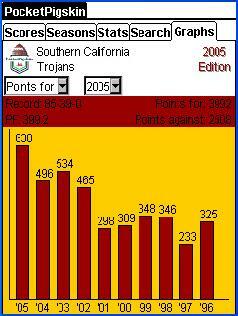 USC's scoring is way up with 3 Heisman Trophy winners in the backfield!!! 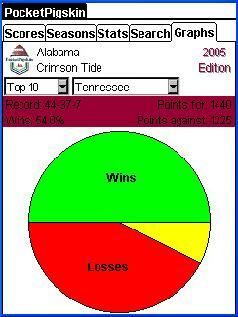 Determine the head-to-head record versus any/all other Top 10 teams.